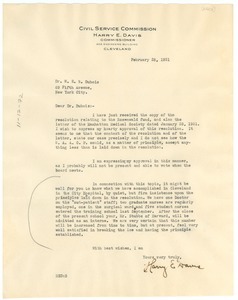 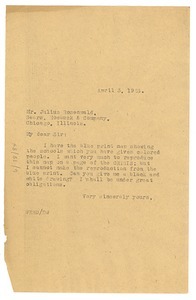 Cleveland (Ohio) - Concerning Davis's support for an NAACP resolution condemning the Julius Rosenwald Fund for funding of segregated institutions. 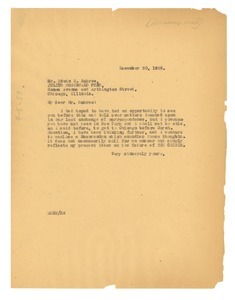 Written on the letterhead of the Civil Service Commission. 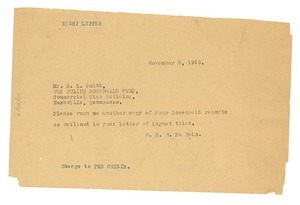 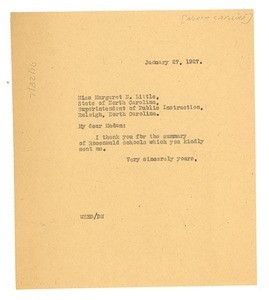 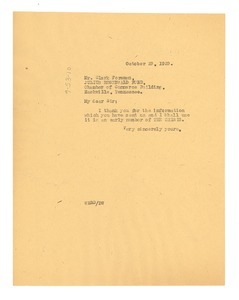 New York (N.Y.) - Addressed to S. L. Smith; thanking him for the reports enclosed in his recent correspondence, and looking forward to featuring the Fund in future numbers of the "Crisis." 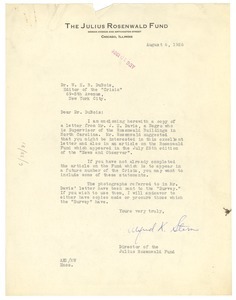 Atlanta (Ga.) - Regretting having to miss the upcoming Spingarn Medal Committee meeting; describing the delivery and state of the page proofs of his Fund-financed manuscript and outlining further work to be done thereon; and inviting him upcoming City-Wide Young People's Forum in Baltimore. 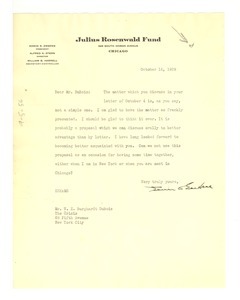 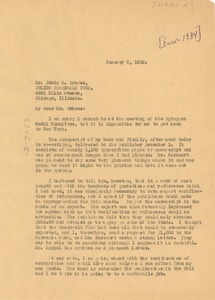 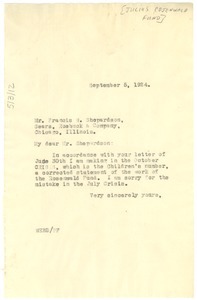 Chicago (Ill.) - Signed Edwin R. Embree; pledging to think over the proposal for the Fund's financial assistance to the "Crisis" (see mums312-b183-i263) and hoping to discuss the matter with him in person.